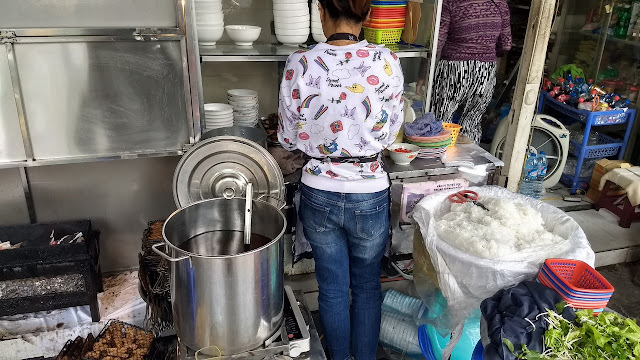 Bún Chả was a new dish for us. I'm sure that I've probably seen it on Vietnamese restaurant menus at home, but we've never tried it. 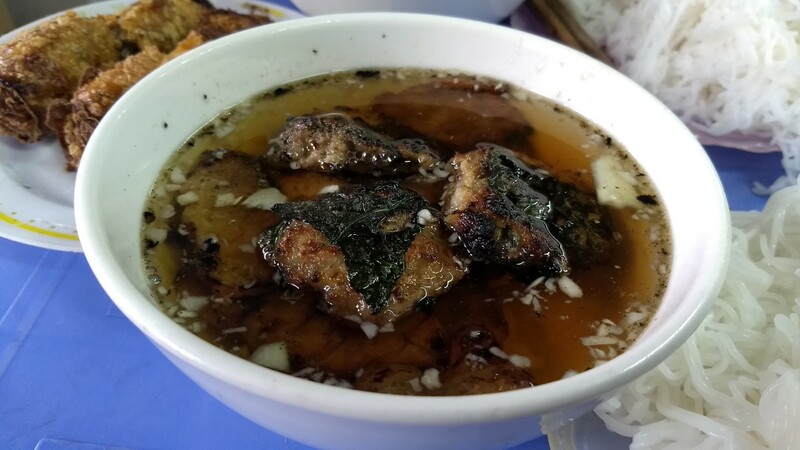 Turns out, it was one of our favorite things that we ate in Hanoi. The centerpiece of the bún chả experience is grilled pork - in this case pieces of pork as well as patties made from minced pork - served in a bowl of nước chấm dipping sauce. 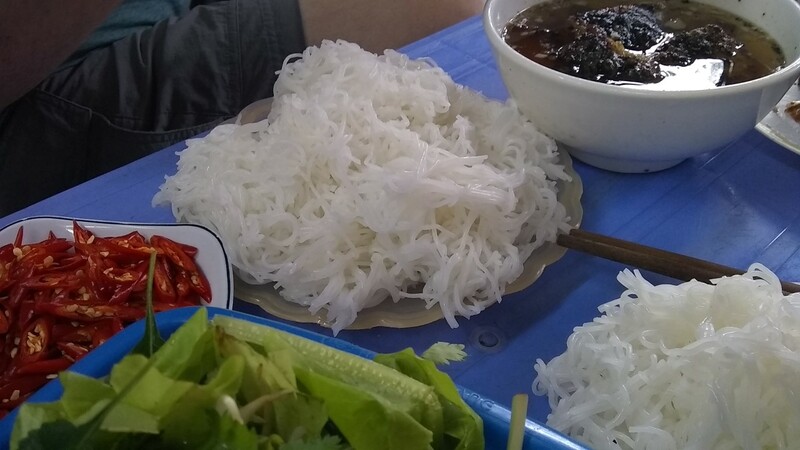 The "bún" component is rice vermicelli noodles, served in a separate mound. 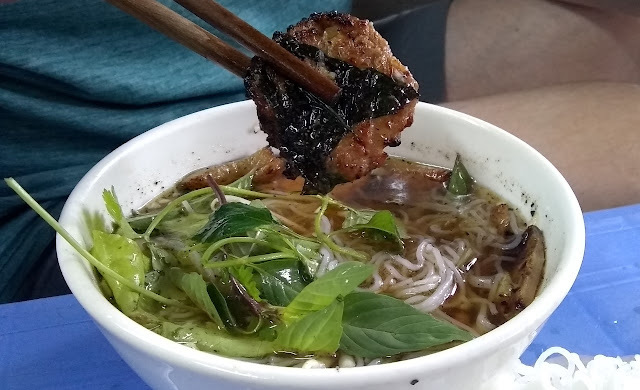 To eat it, you put some noodles in your dipping sauce, along with a whack of the provided greens, and mix it up into delicious bites. Like many of the dishes we had in Hanoi, it is hard to explain exactly what makes this so good. I'm not sure if the place we ate at has a name, but it is on Cửa Đông street on the West side of the Old Quarter. They were doing a brisk lunch business during our visit. 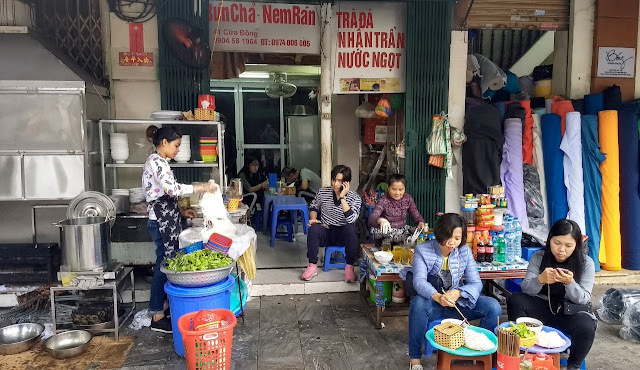 Bún Chả seemed to be typically a lunch dish. 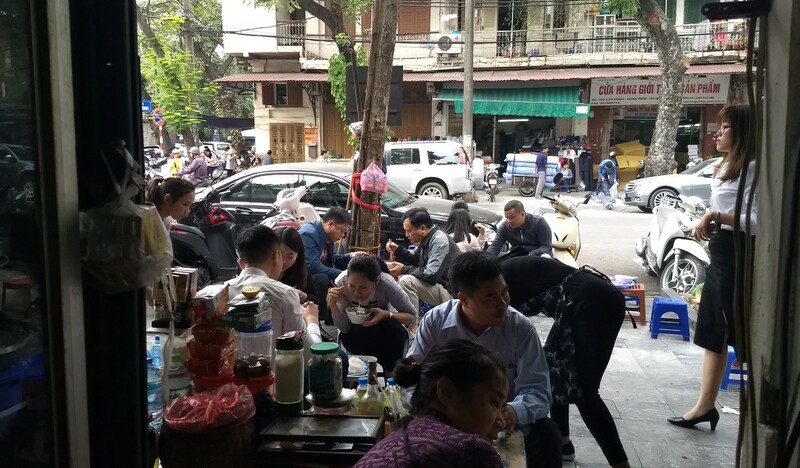 As noon approached, you would start smelling the pork grilling as bún chả spots began to get ready for lunch service. 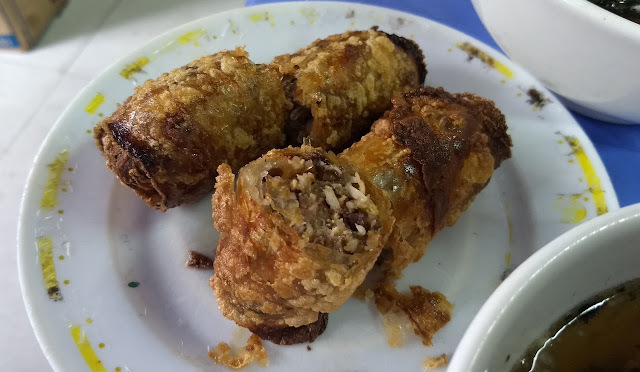 Often served with bún chả are nem rán - fried spring rolls. 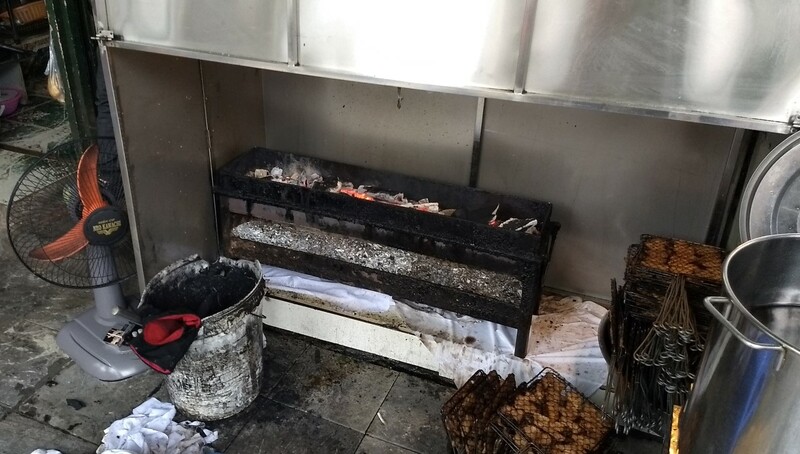 This place had their fry station set up along the sidewalk. I'm not sure what was in this version - they had a seafood flavor though. 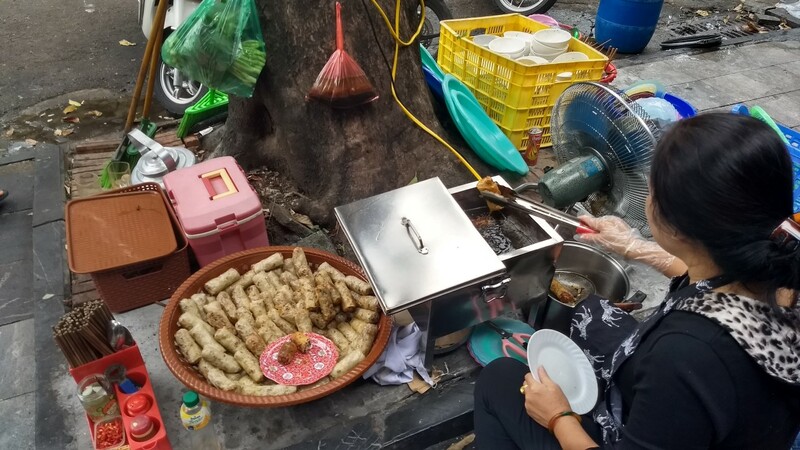 Hot and crispy, they made a great accompaniment for the grilled pork and noodles.